The dire economic situation of millennials was front and center on Capitol Hill Wednesday, and a committee chairman said the executive and legislative branches were worsening it. The political failure to tackle the national debt and unfunded liabilities of entitlement programs are going to set back the generation born between 1980 and 2000 even further, Sen. Dan Coats, R-Ind., said at the Joint Economic Committee hearing. 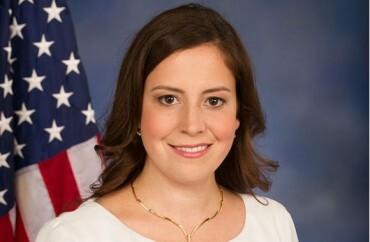 One member of that generation is a member of Congress now: Republican Elise Stefanik of New York, elected at age 30 last year, who testified about her generation’s perspective at the hearing. It’s the bicameral committee’s second hearing this fall to touch on the terrible economics of college for the current generation: Purdue University President Mitch Daniels, the former Republican governor of Indiana, and other experts testified on alternative financing models. The committee released a report Tuesday, Millennials’ Slow Start Down the Road of Life, that said the average graduate leaves college with more than $35,000 in debt. The Great Recession, which officially ended six years ago, has limited the employment opportunities of millennials entering the workforce, the committee said: They increasingly find themselves underemployed in jobs that do not match their skills and provide fewer benefits than equivalent positions before the downturn. The twin effects of diminishing returns on education and a weak job market have made it harder for millennials to support themselves, the report said: 60 percent depend in some part on financial support from their parents, and at least one in five was still living at home at the age of 25. These conditions have created lagging social indicators in the form of delayed marriage, making for a record high average marriage age of 29 for men and 27 for women, even as the “median age at first birth” dips below 26, the report said. Educated millennials are also forgoing the opportunity to become homeowners, the report said: Those with student loan debt became more likely to rent than their peers in 2012, a reversal from prior to the Great Recession. Chairman Coats also released a summary of the report as an acrostic of the word “millennials,” noting how their income and debt composition differs from prior generations. Witnesses at Wednesday’s hearing tackled possible solutions to the socioeconomic plight of millennials. Rep. Stefanik said that most millennials did not believe they would attain the living standards of their parents. 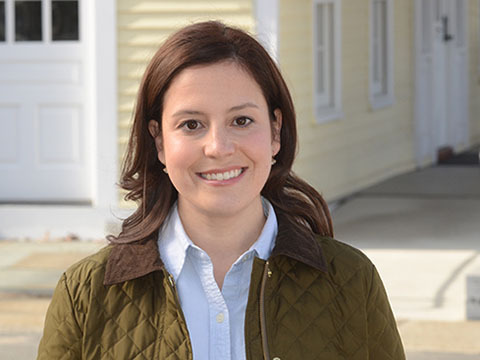 The problem is that millennials “often feel held back by archaic process and overregulation,” Stefanik said, suggesting reforms to help millennials such as changing labor laws to allow for greater work flexibility and making Pell Grant scholarships available year-round. There’s a mismatch between millennials’ aspiration to start a business (two-thirds) with the stark reality of those under age 30 who even have a partial stake in one (less than 4 percent), said Jared Meyer, a research fellow at the Manhattan Institute. Meyer blamed overly burdensome regulation “stuck in the 20th century” for this mismatch, placing burdens on startups to raise needed capital. The Securities & Exchange Commission still hasn’t finalized regulations on “equity crowdfunding” – as opposed to platforms like Lending Club and Kickstarter – despite the 2012 passage of the Jobs Act, he said. Labor regulations also create huge barriers to entry for young workers, Meyer said. More than a third of professional occupations require permission from the government – including for florists and interior decorators in some states – and obtaining that permission is often costly in both time and money, he said. Jen Mishory, executive director of the economic opportunity nonprofit Young Invincibles, took a different tack in arguing for a restructuring of the student loan system. Pell Grants should increase because their purchasing power has declined rapidly since the 1980s, and the government should make it easier to refinance student loan debt – and implement income-based repayment plans – so it’s less crushing, Mishory said. 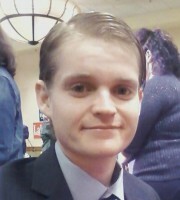 Congress shouldn’t leave out struggling working families, Mishory said, proposing an increase in the federal minimum wage and expansion of the Earned Income Tax Credit to for childless adults under age 25.